My start to finish tutorial video, which I recorded and edited over the last couple of weeks, is finally ready. It was a lot of work but worth it. 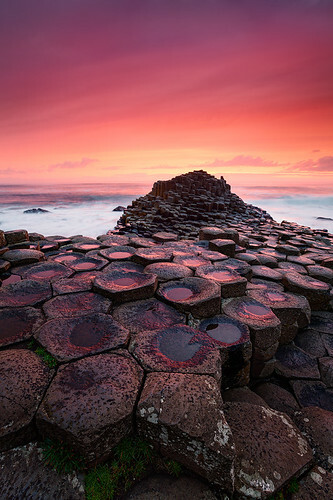 The tutorial is intended for the intermediate to advanced Photoshop user and will cover all the steps I undertook to create the photo Bloody Causeway. To follow along you should be familiar with adjustment layers, masks and basic filters in Photoshop. I also use LR 4 for the preprocessing. If you don’t have LR and only use Camera Raw that should be ok. Many of the settings are the exact same in both programs and the most part of the tutorial I’ll be using Photoshop anyway. Included in the tutorial is also a short discussion about how I captured the photo, which includes use of Filters and also Fokus stacking. So besides post processing techniques you’ll also get an idea how I work in the field. If you are interested what others think about the tutorial you might want to read Olaf Bathkes thoughts about the tutorial here. Olaf is a very experienced landscape photographer who knows his trade. The complete tutorial is roughly 2,5 hours long and can be purchased for 17,50 USD (13Euro). This is a link to an automatic delivery system I’ve set up to make the purchase more comfortable for you. After you pay, you’ll get a temporary download link to the tutorial. You can contact me through the the contact sheet on my homepage in case anything goes wrong with payment or download. No Paypal? Also no problem, the shop also supports credit cards. If nothing works for you just contact me and we’ll find another way. Please mind that it might take some days to answer if I’m traveling. If not I usually answer my emails within a day.